[Tokyo, Japan] The meal at Nihonryori RyuGin at Roppongi Tokyo is probably my best in the year, okay, make that best meal ever. And it is definitely the most expensive meal in my life so far. 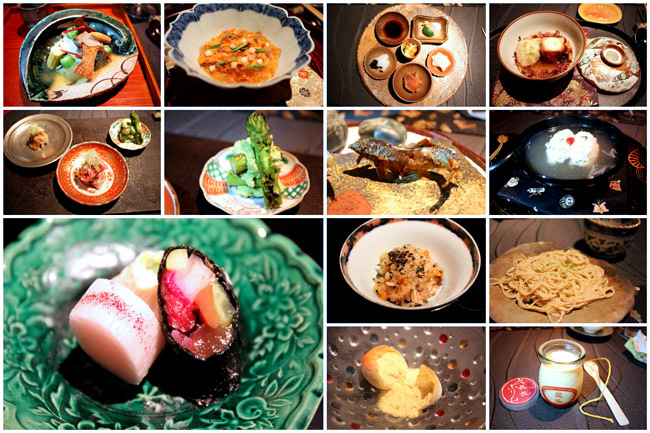 The Michelin Guide Tokyo 2013 has also awarded RyuGin restaurant 3 stars consistently. 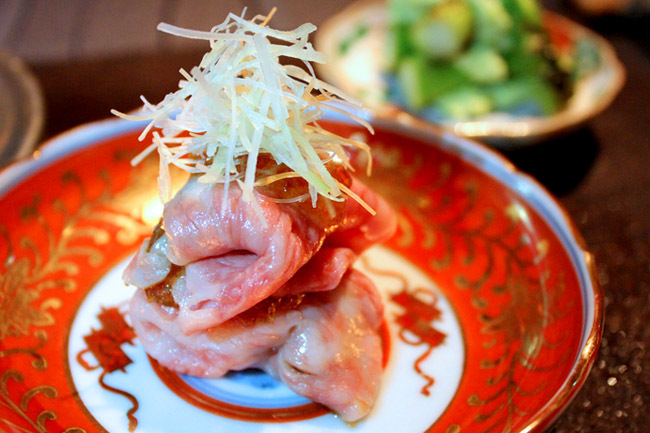 One gastronomy course is for 23,100 Japanese Yen (22,000 JPY plus 5% consumption tax, 1,100 JPY). That makes it SGD$337 or USD$277! My heart also broke when I found out about the cost. It was initially painful. 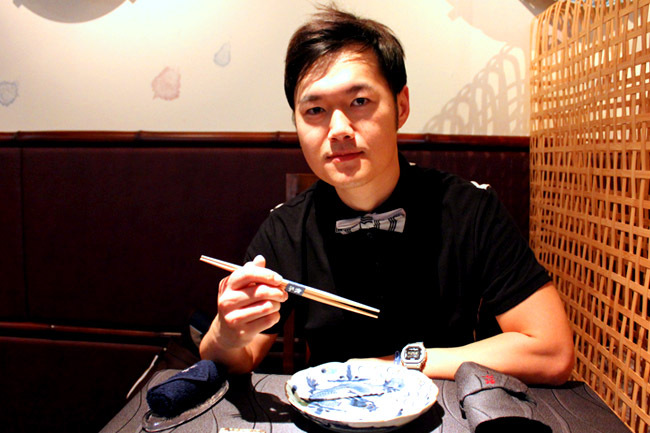 I am no rich kid, so what made me decide to part so much for a single meal? This is after all one of the best restaurants in the world, and every single of my friend who parted with that same amount said it was worth it. 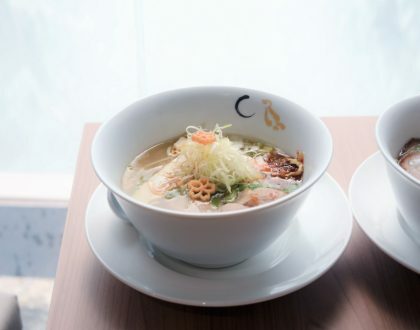 RyuGin’s Chef Seiji Yamamoto is known to push culinary boundaries, creating avant-garde dishes, while blending with the seasonal ingredients available in Japan. Every season has a different menu, and every day it may differ based on what is available in the market. And every single dish was a piece of art. The dinner was not only about eating anymore, but appreciating every containing plate, smelling the scents, appreciating the plating, listening to the explanation and story, and just simply watching in awe how art is created. 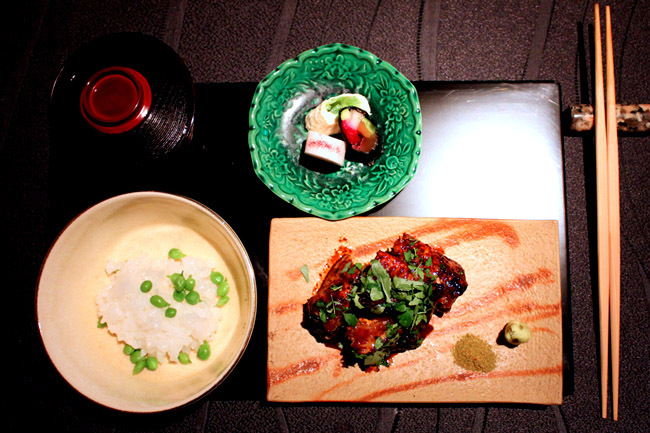 Take for example, Chef Yamamoto’s summer speciality – a Swimming Ayu Fish grilled over charcoal with chill presentation, drizzled with a special Benitade sauce made using watermelon. 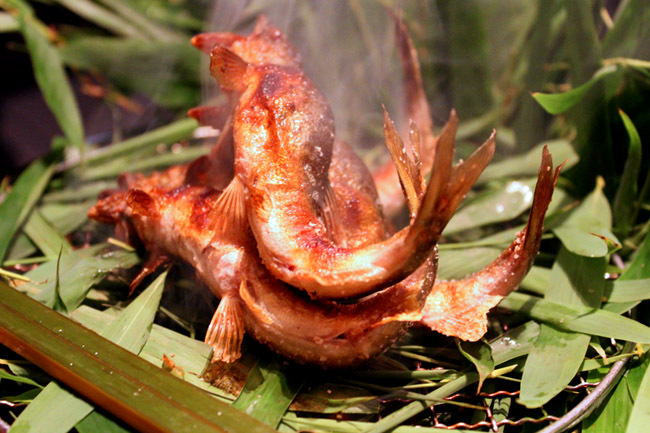 The sweetfish was first grilled smoking with bamboo leaves, then transferred to a stone plate, placed as though the fishes were swimming in a river stream. It was incredibly incredible! Just as you thought the gastronomical-presentation could not get any more embellishing, the dessert will blow your mind. 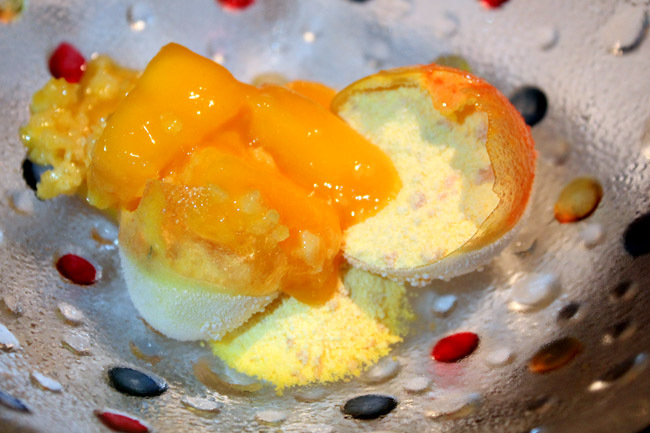 It was a combination of ‘candy mango’ frozen to -196 degree Celsius using liquid nitrogen, cracked and mixed with warm mature fresh mango. 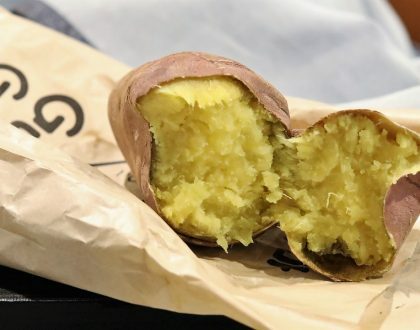 Imagine putting the two together in your mouth, where you experience a literal ‘popping’ sensation. RyuGin’s dessert was crazy, simply crazy good. If you do get there, guests are told not to wear strong perfumes and eau de cologne which may compromise the experience. 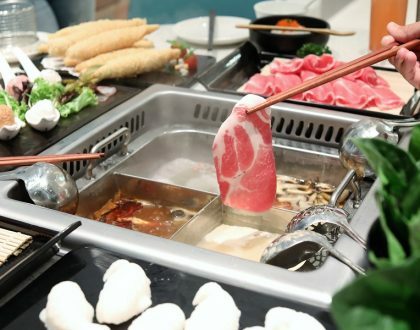 It made me realise even deeper that a restaurant should create an eating experience where all your senses are stimulated, and not just about taste. I thanked God profusely for such a wonderful excellent meal. Roppongi Station on Hibiya Line (Tokyo Metro), 2 minutes walk from Exit2（in front of Meiji-ya super market). Tokyo metro oedo subway line roppongi station exit 7(in front of Tokyo Mid-town) 5minutes walk. 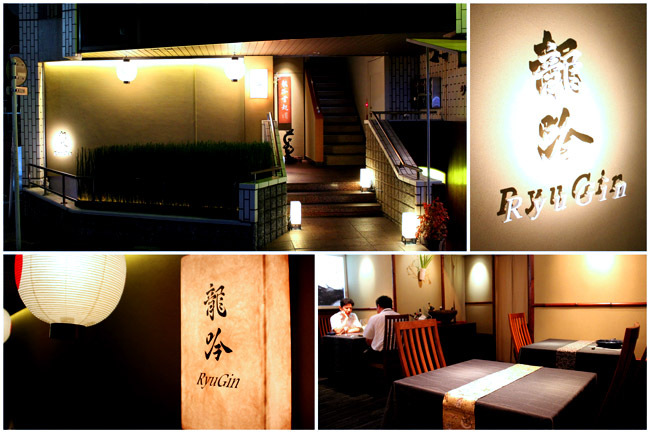 I hope I can make it there at Ryugin during my next visit to Tokyo. Did you go back? I am asking because many people I know keep telling me that Ryugin was spectacular on their first visit, less so on their 2nd and 3rd, which I guess can be said of virtually any restaurant but those same sources insisted that their subsequent visits Vs the 1st were a bit of a night and day comparison. But I’ll try it for sure. After all, this is a subjective matter. I had a friend who went early 2013 who said it was “spectacular”. Do you ever run into any browser compatibility issues? A small number of my blog readers have complained about my blog not working correctly in Explorer but looks great in Firefox.